Natural stone is inherently earth-friendly. Natural stone currently offers many attractive, environmentally friendly attributes, including an enduring life-cycle, durability, ease of care and maintenance and recyclability. 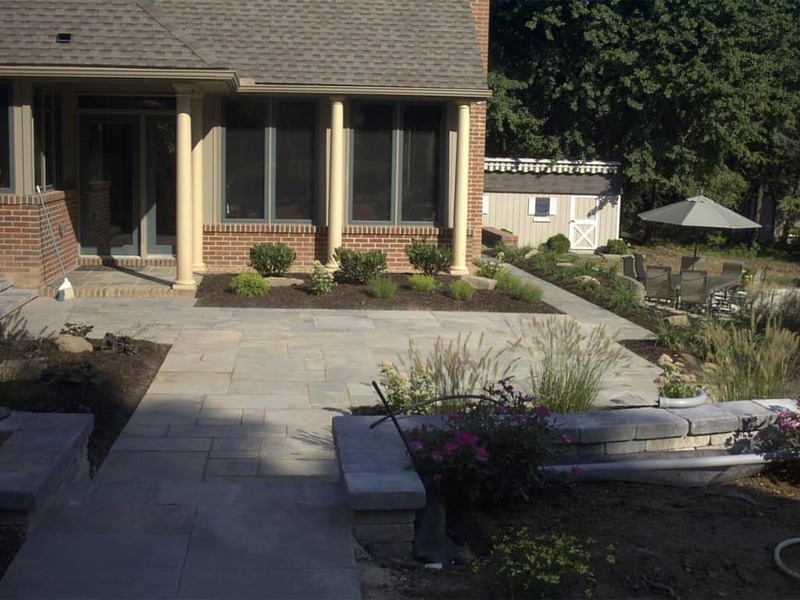 We are always mesmerized by the beautiful transformation of our natural stone patios and walkways. 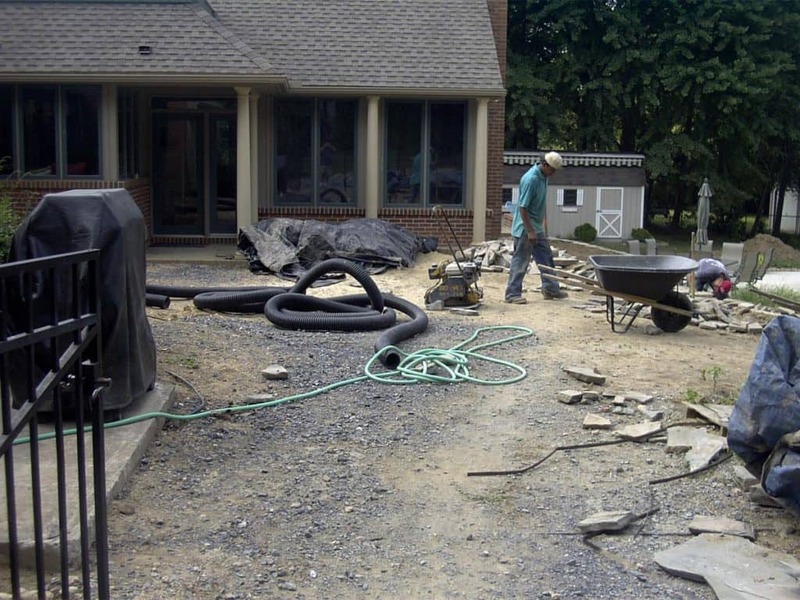 Thermal cut flagstone in random sizes provides the field for this walkway/patio combination in Wormleysburg. 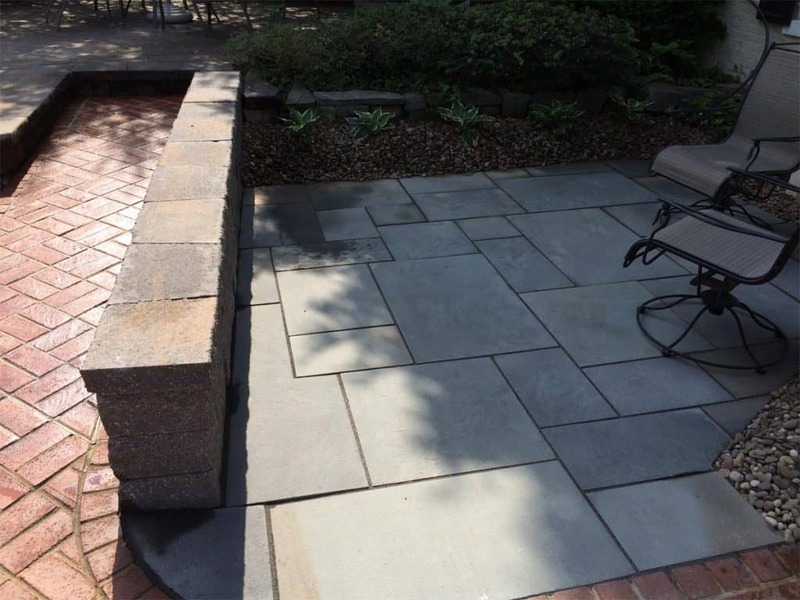 Seasonal plantings help to soften the hardscape. 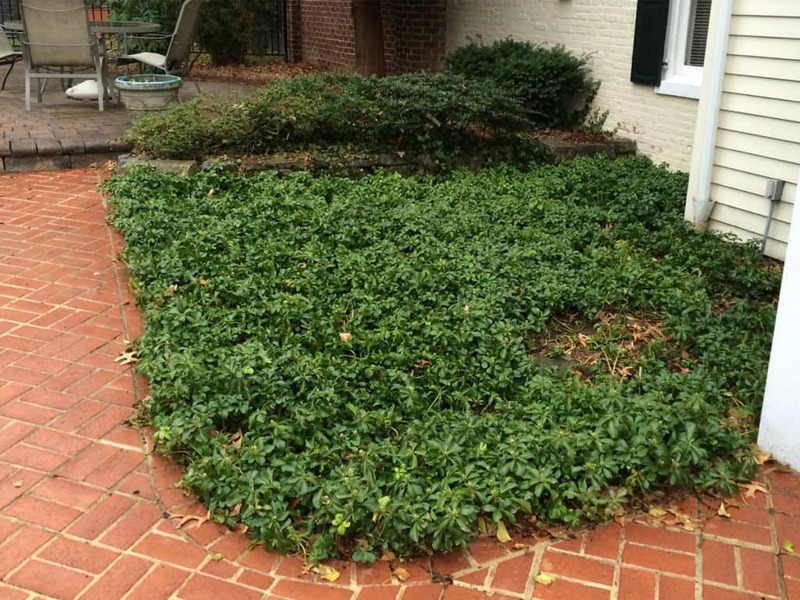 The owners were tired of grass and weeds growing between the existing flagstone walkway which had separated due to improper installation. We removed the walkway and reinstalled proper base material before resetting the flagstone. 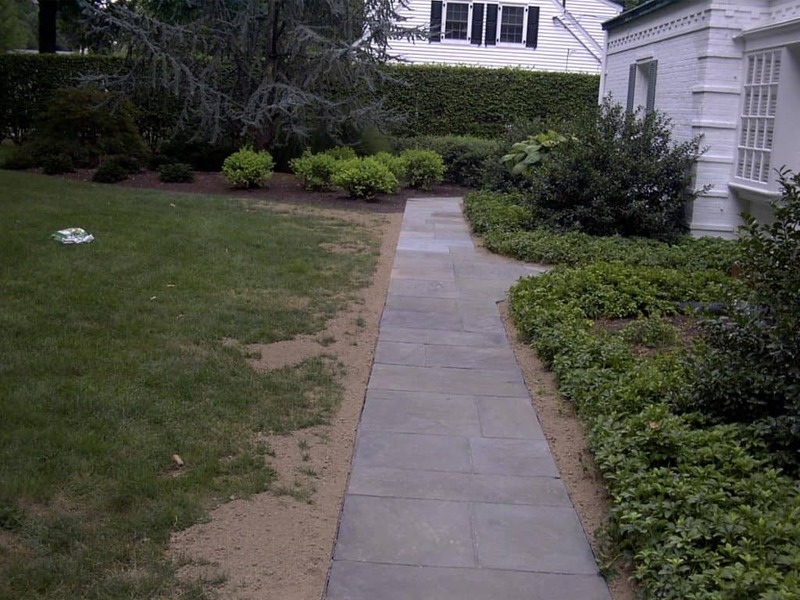 Restraint edge and polymeric sand were used to curtail both separation and weed growth. Additional seating area was the focus of this project. 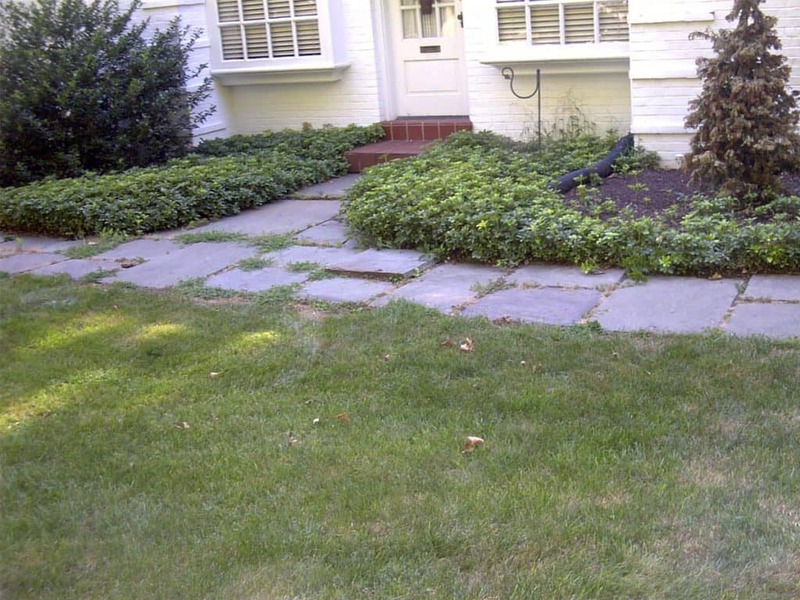 We removed the pachysandra groundcover bed and installed a thermal cut flagstone patio in random sizes. The sitting wall adds additional seating as well as help transition between the old and new patios. 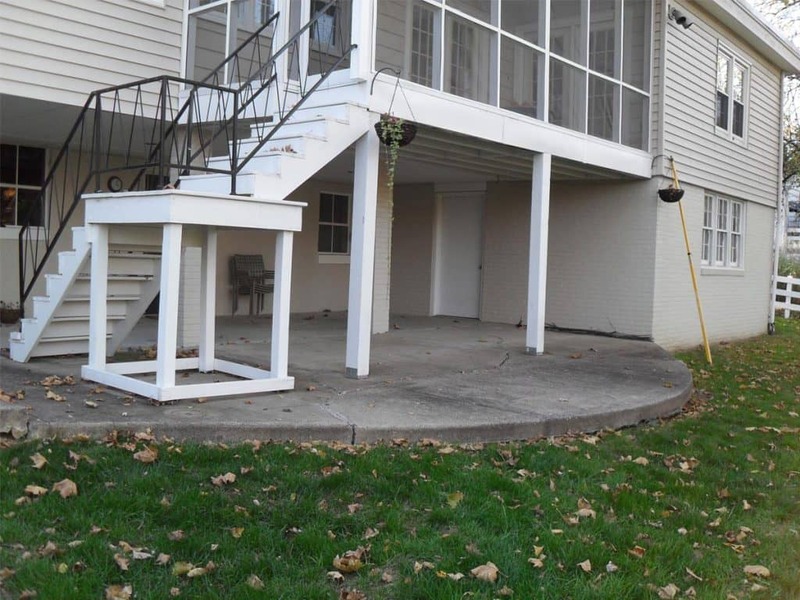 The stair access from the upstairs screened porch was awkward and the concrete patio had seen better days. 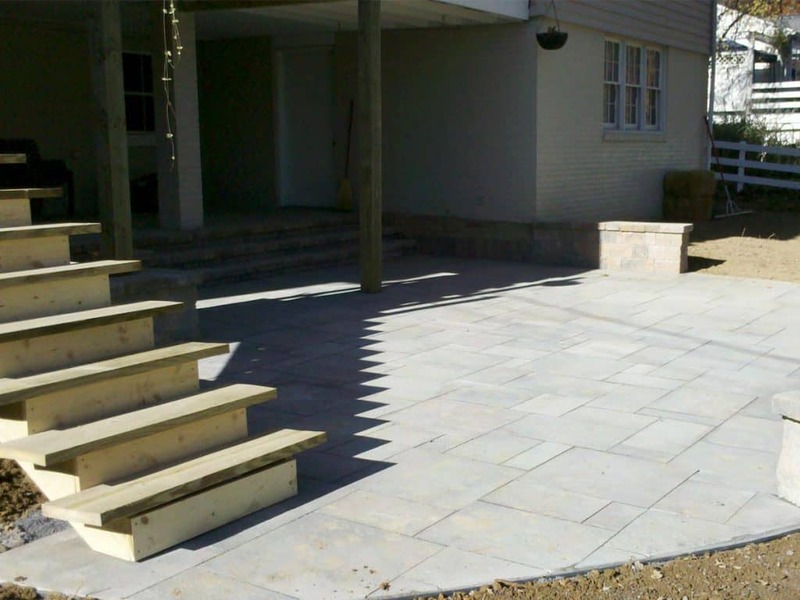 We changed the stairs and installed a new thermal cut flagstone patio. Sitting walls around the perimeter add additional seating.